Music is our passion. Uncompromising quality our way. Splinter Overdrive offers a modern and versatile sound that works great on guitars, bass guitars, synths, drum machines, practically anything with an instrument or line level output. Yes, dig out that old tape machine! Born in the lab as a respin of the legendary TS-808, it took a character and voice on its own, not a clone, more like a rebel spawn. Gain and diodes selection offer a broad overdrive palette, from subtle harmonics enhancement to more complex textures. 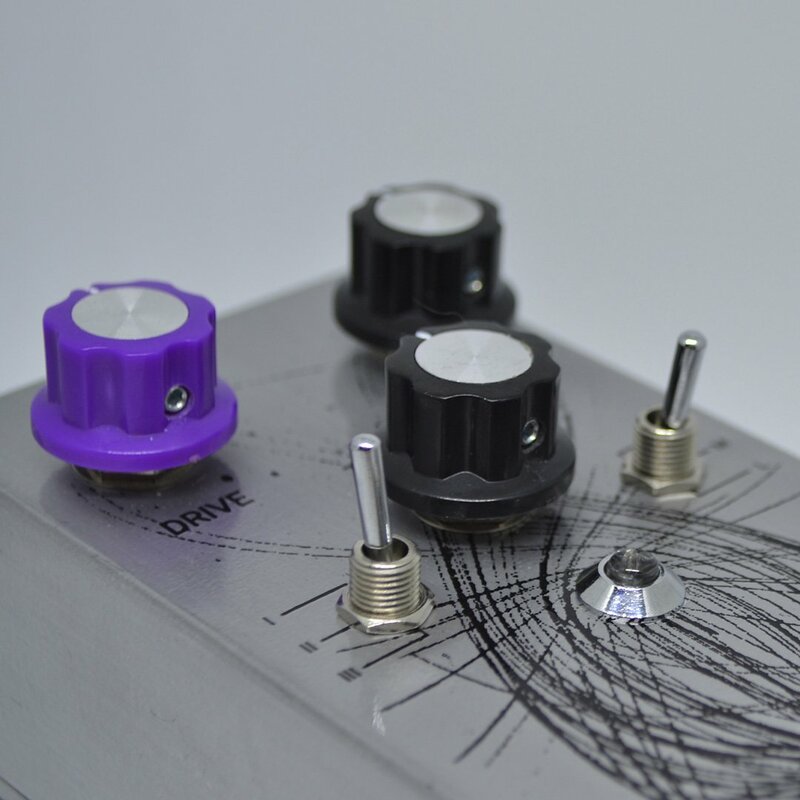 At low gains, the Splinter Overdrive works like a clean boost, giving your instrument more body and sustain without altering its features. At higher gains rhythms get crunchy and leads cut through the mix. Bandwidth control to match the frequency range of your instrument and/or what you’re playing. Increased headroom provides a better transient response and can handle line level signals. The higher headroom gives you more control over your playing, making the pedal very responsive to your touch, with either low or high impedance pickups/drivers. Standard 9V power supply: the increased headroom is generated internally, so you don’t have to carry around that extra 18V power supply. It’s 9V everywhere on your pedalboard! True bypass switching implemented with a dedicated PCB: no hand wired footswitch! 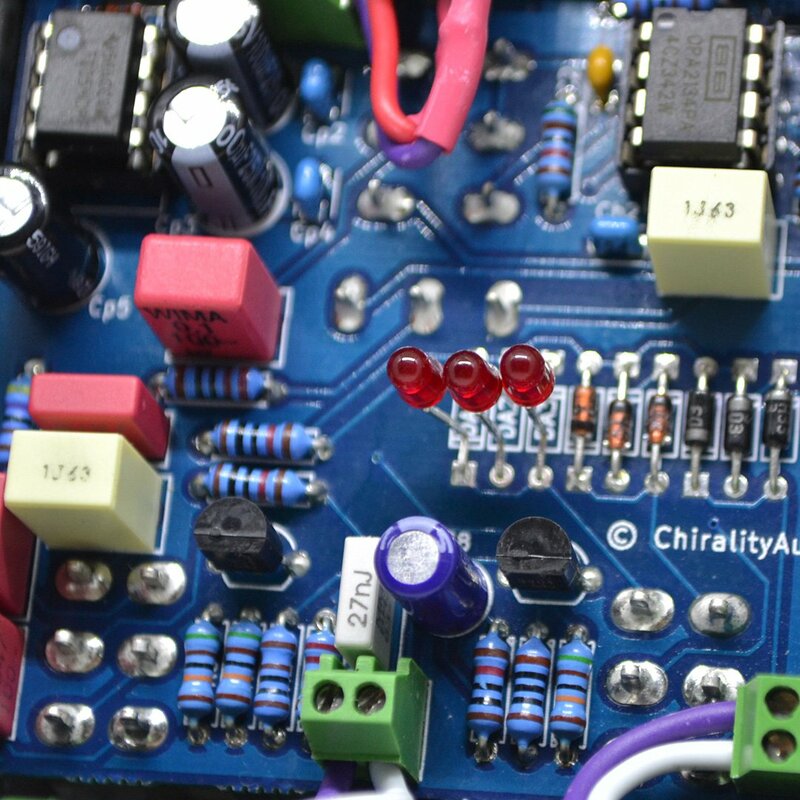 Carefully designed PCB: we take quite some time to design the guts of our products. Functional partitioning and layout recommendations from IC vendors might not look cool on Instagram, but they are a guarantee of better signal integrity and optimal working conditions for all components. High grade electronic components (high precision, low thermal drift) sourced from authorized dealers only – Burr Brown Amplifiers, Neutrik jacks, NKK switches, WIMA capacitors. 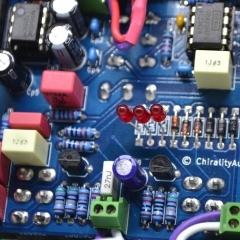 RoHS compliant (lead free) PCB and components. It makes no difference to your sound, but it’s one of our way of respecting the Planet. Hand made with painstaking care in Italy. 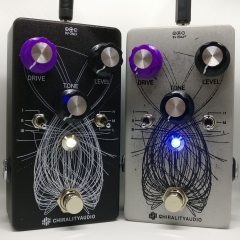 Splinter overdrive comes in two flavors: matte black painting and natural brushed aluminum. They are identical from an electronic point of view: same PCB, same high quality components, identical high definition sound. The black version features high quality graphic print. The silver version is the result of a long manual process where we brush the aluminum enclosure, then we transfer the graphic through etching. Because of the very manual nature of the process, no two Splinter Overdrive will look the same. You can choose your preferred finish when ordering: matte clear or glossy clear. Power supply: 9V DC center negative (Boss style) – never connect higher voltages! Devastating, powerful, creamy, evil, fascinating, a must-have for any analog sound designer. I love this overdrive because it works with all my guitars and brings out the true tone of the instrument. 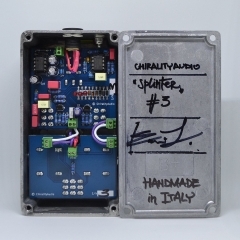 I found the Splinter Overdrive to be an overall modern sounding pedal with enough versatility to pull off crisp as easily as ultra full. All with the flick of a switch (or two). Had a blast patching it after some synths, as well as using a Radial EXTC to mix with it in addition to the typical guitar applications. © ChiralityAudio Limited, Prospect House, Prospect Road, Dublin 9. Company No: 635562. Registered in Ireland. Private company limited by shares. All rights reserved.